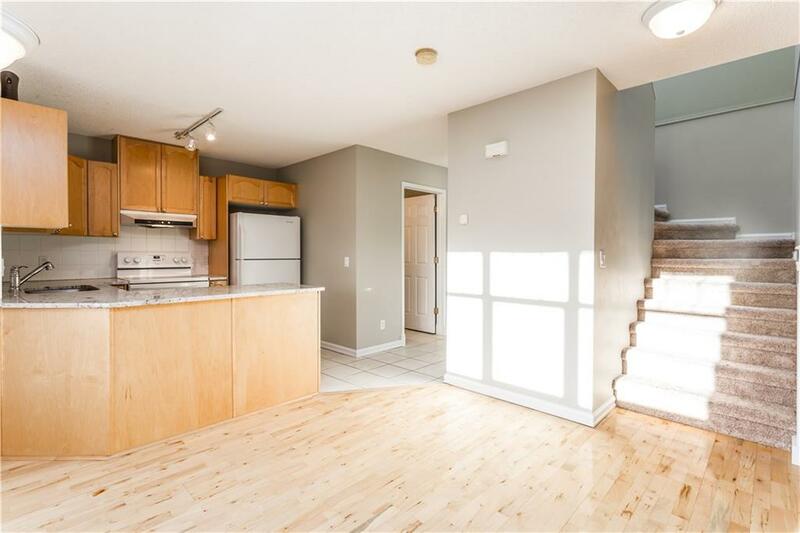 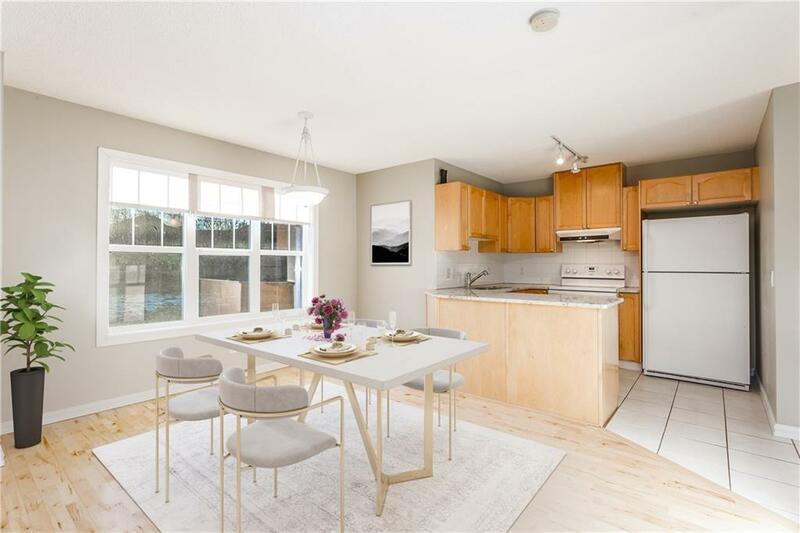 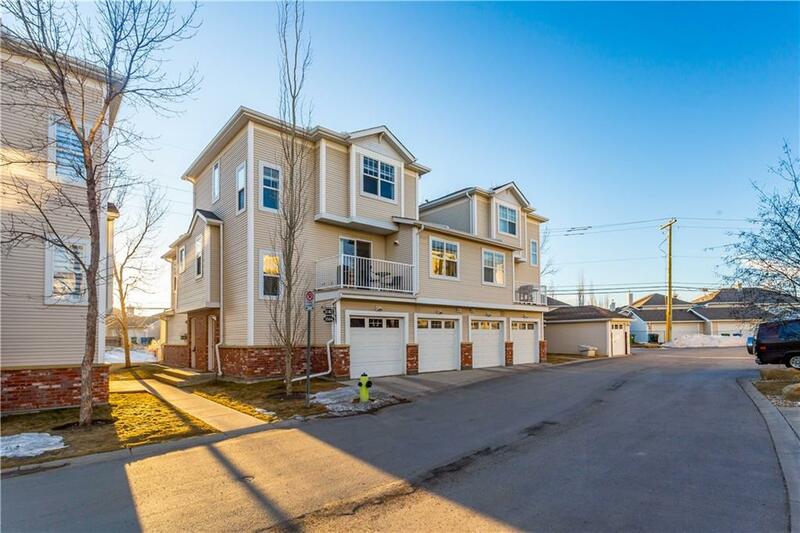 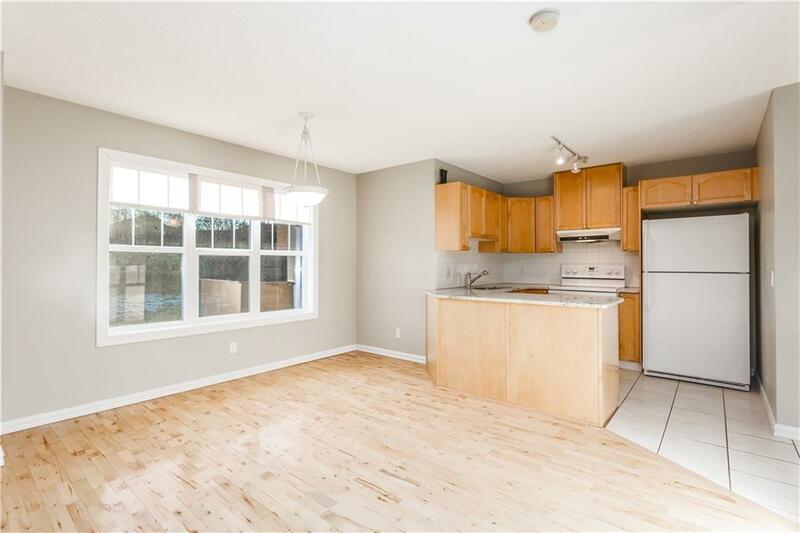 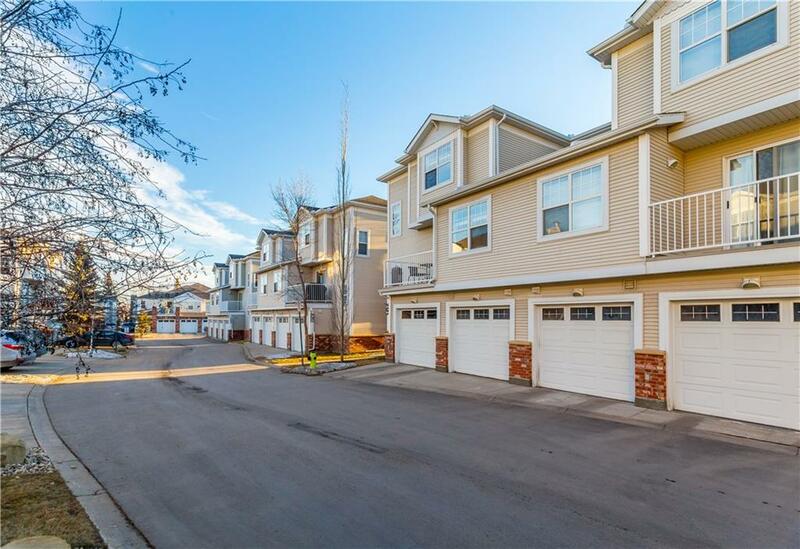 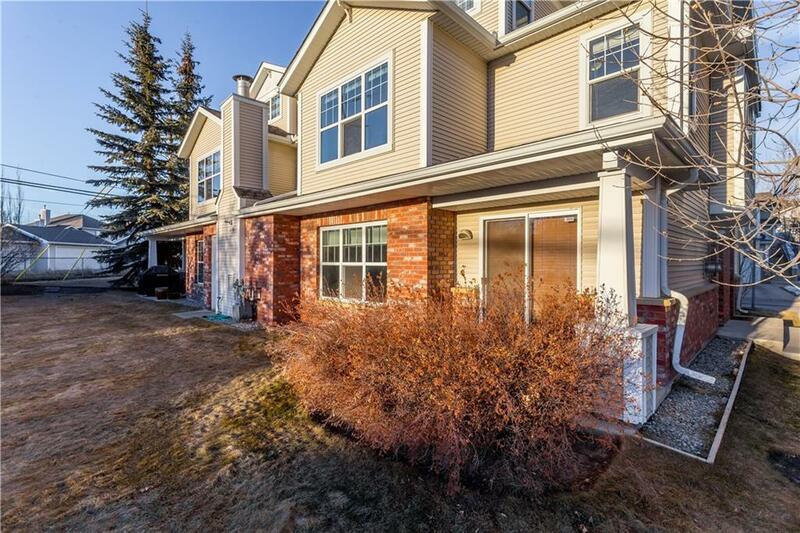 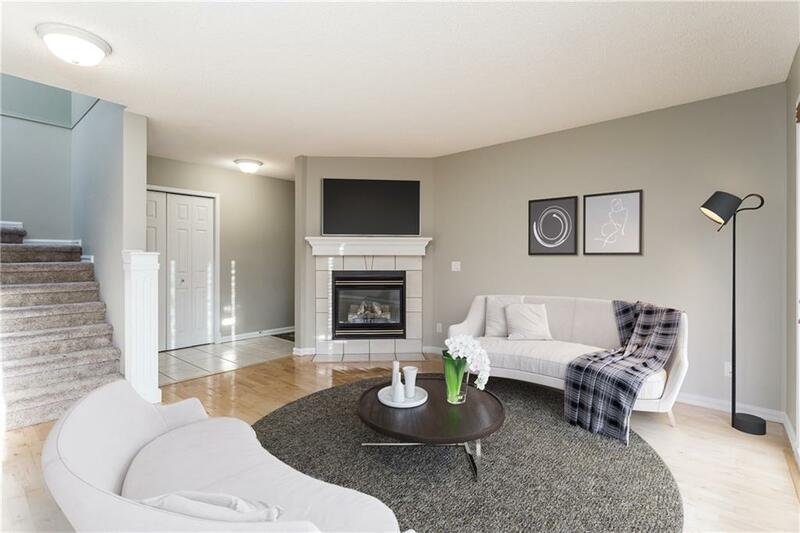 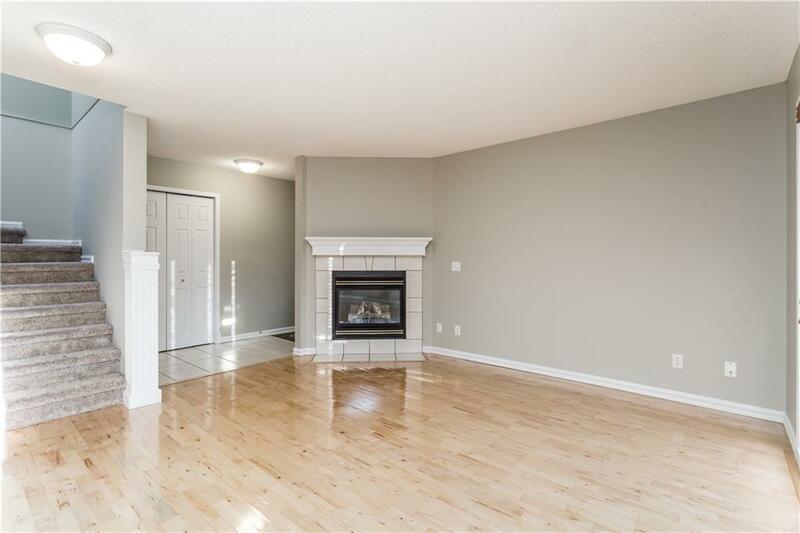 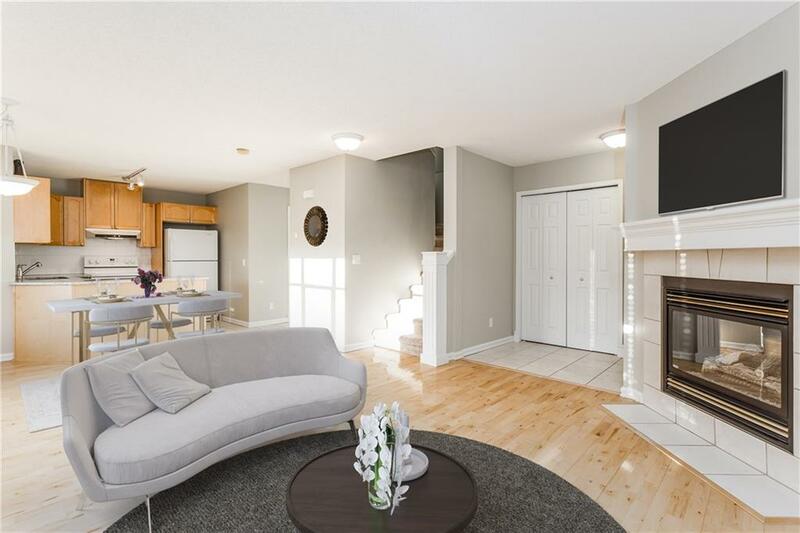 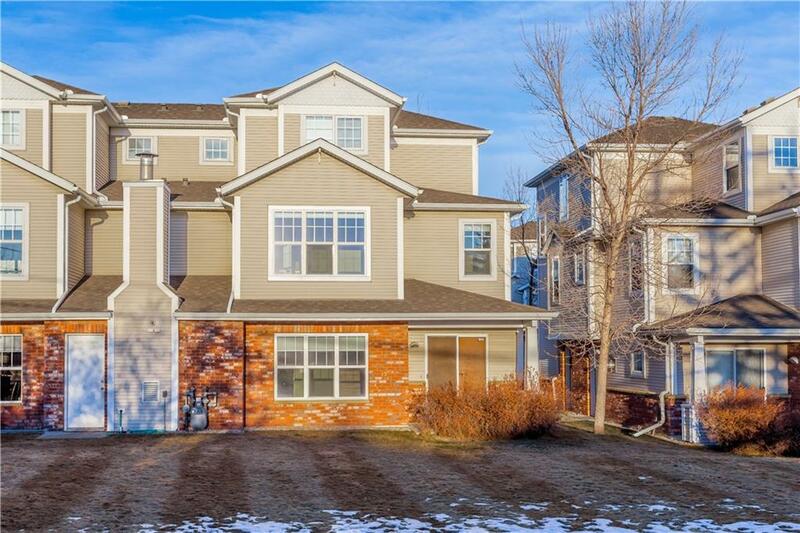 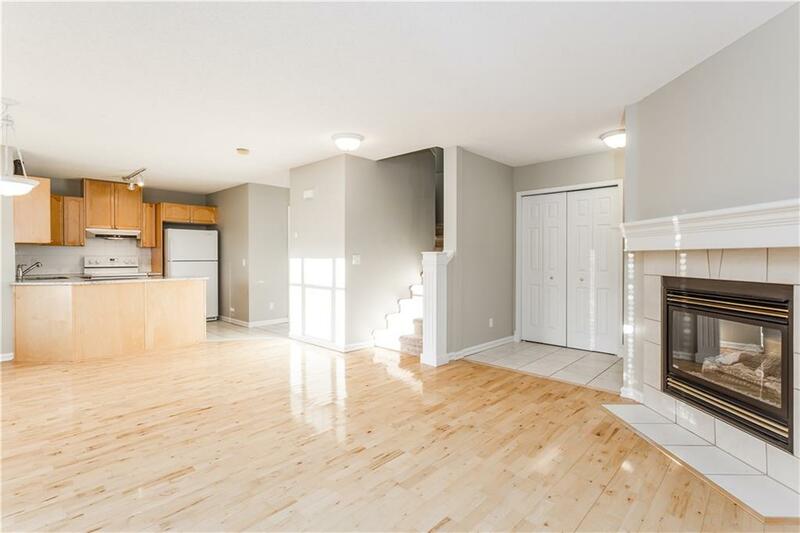 This 2 story townhome is an end unit, has an attached garage and backs onto a private green space which can be enjoyed from every room. 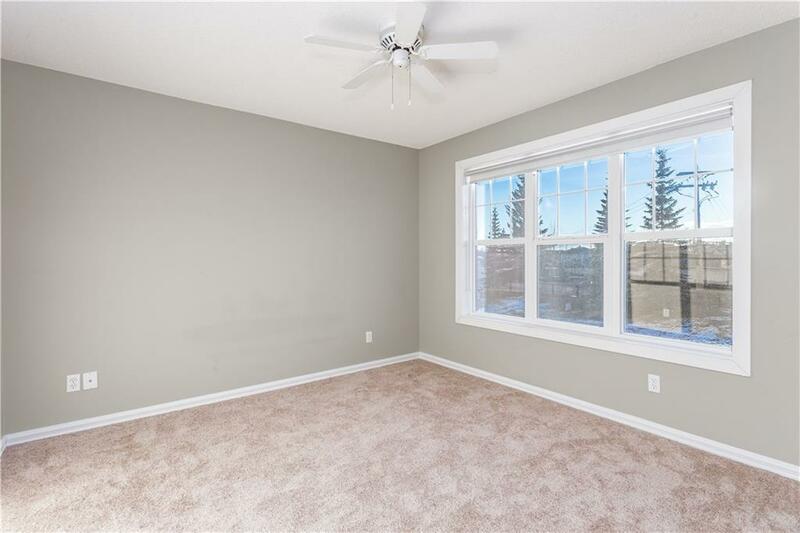 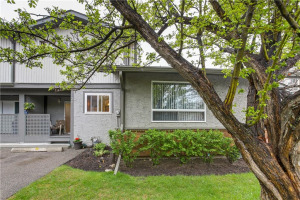 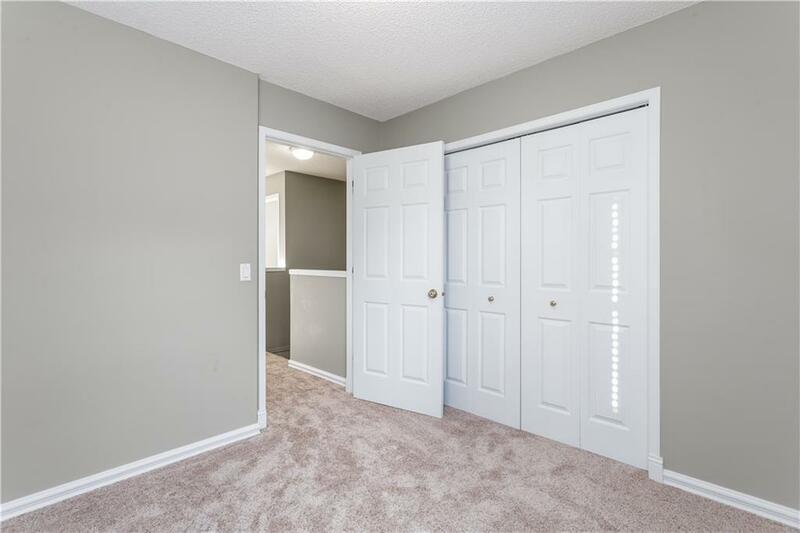 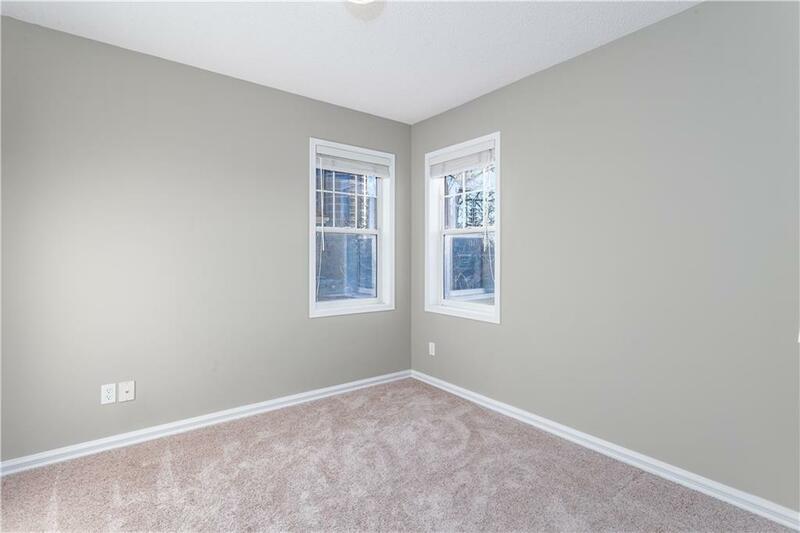 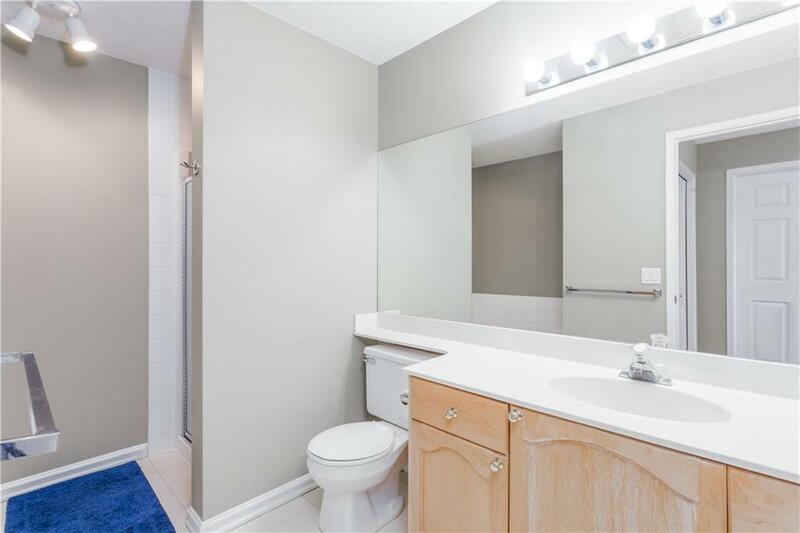 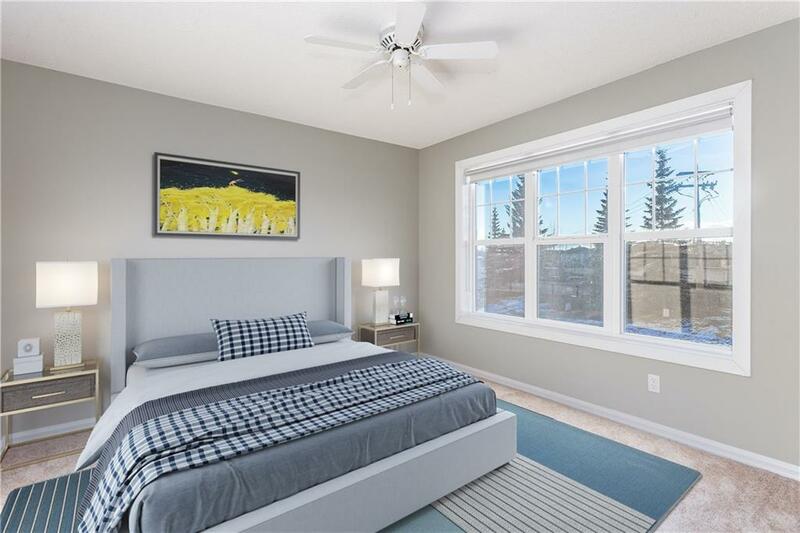 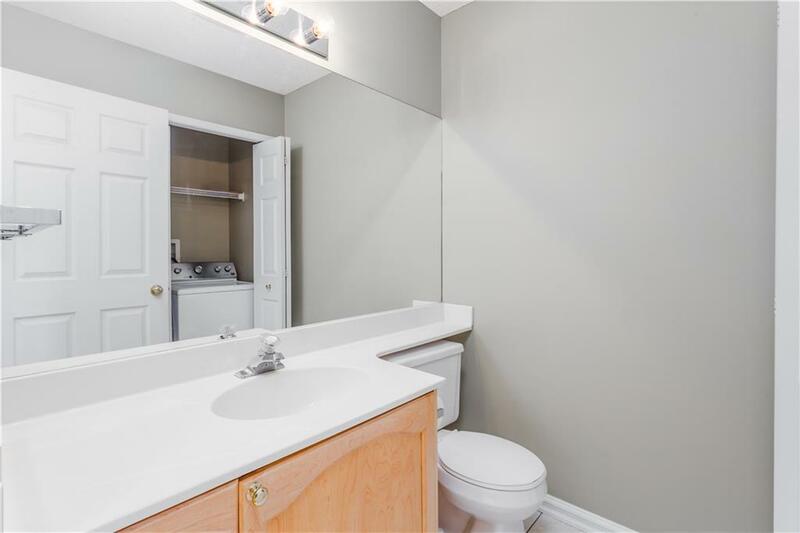 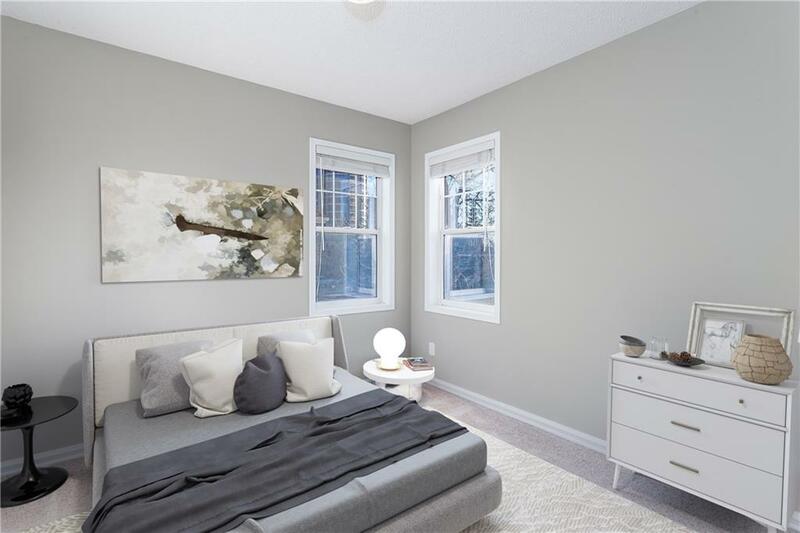 The main floor consists of beautiful hardwood flooring, granite countertops, a main floor half bath with laundry, patio doors which lead out to the open green space as well as a mud room with access to your single car garage. 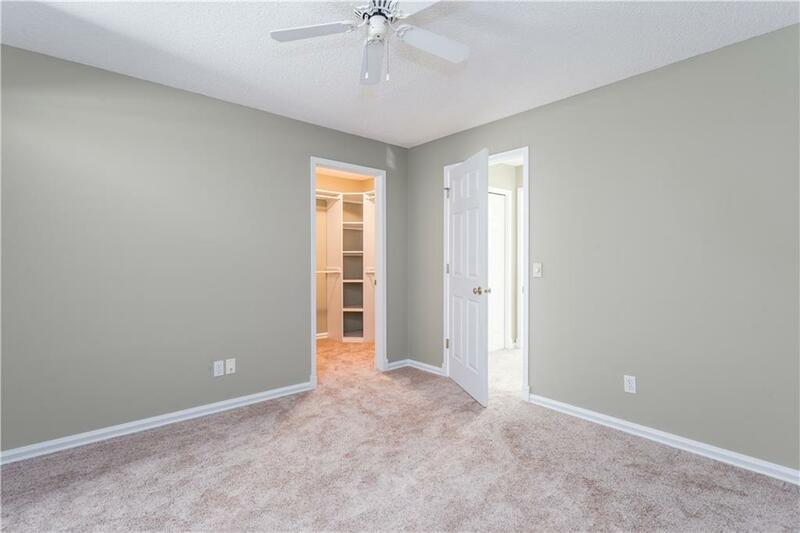 Upstairs you will find 2 bedrooms including a master bedroom with a walk in closet and a full 4 pc bathroom. 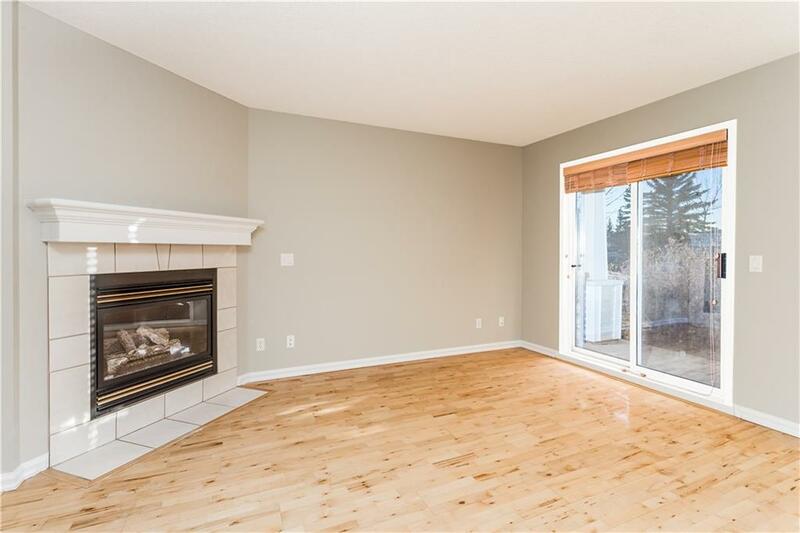 In floor heat throughout is included in the condo fees as well as water, sewer, exterior maintenance, building insurance, landscaping and snow removal. 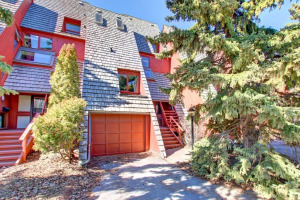 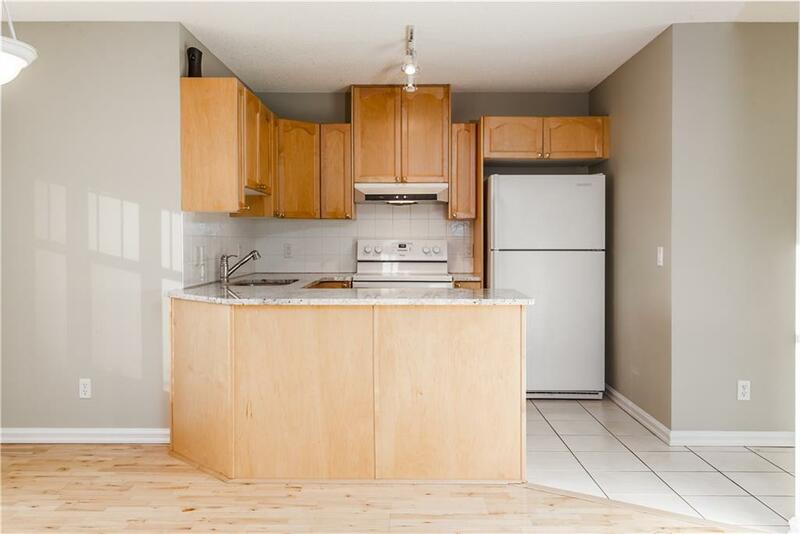 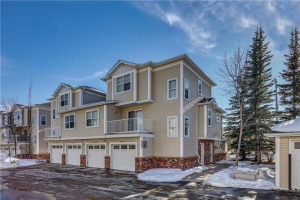 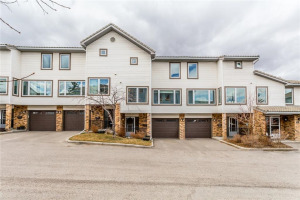 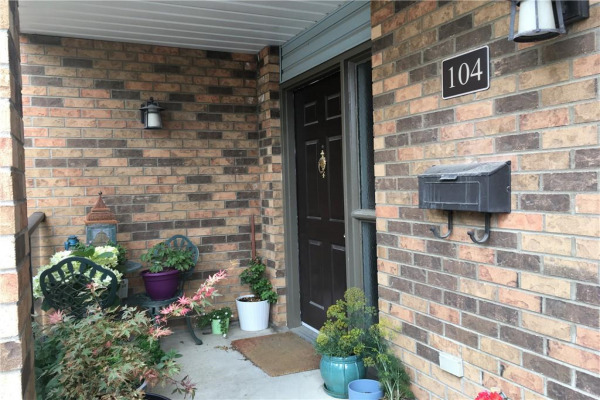 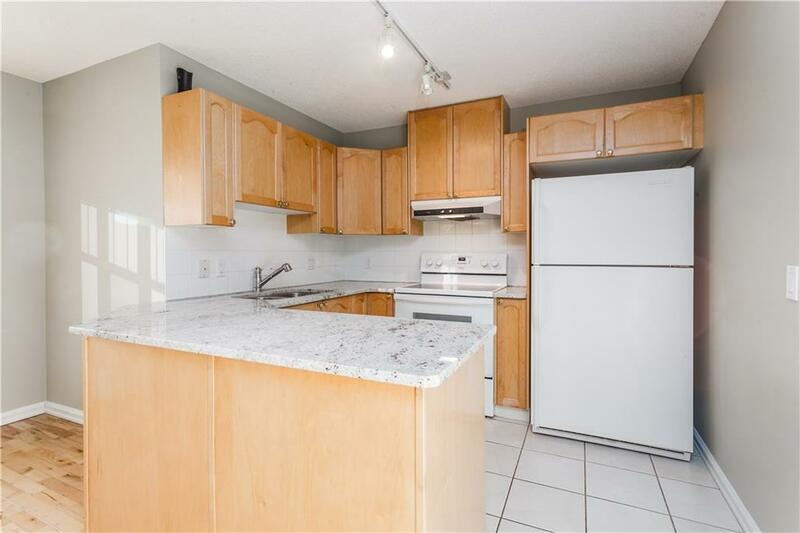 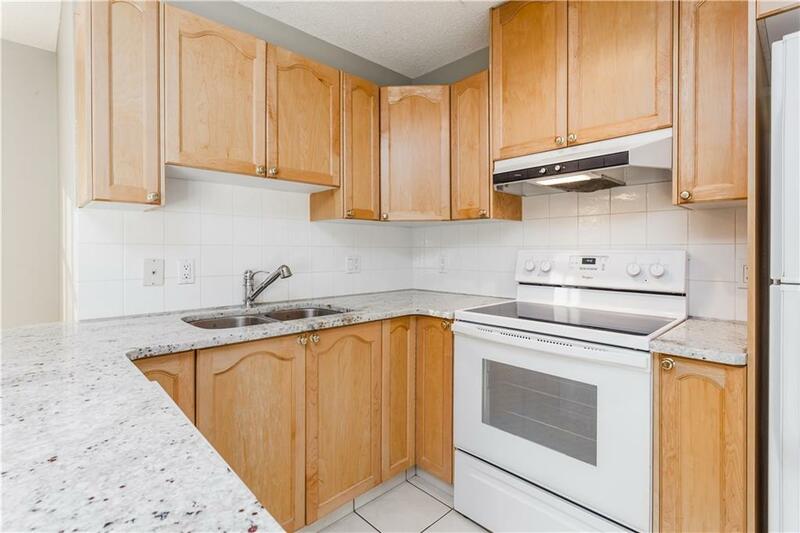 If you are looking for a beautiful townhome in a well run condo complex, look no further. 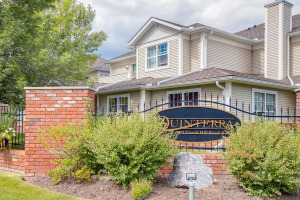 Close to everything one would need to live their best life including public transportation, hundreds of shops, driving range, dining experiences and so much more.